Dov Landau, Holocaust survivor from Israel, spoke to 300 people at Asia Society on 1st February 2016 as part of his Holocaust Memorial Day tour of Hong Kong. 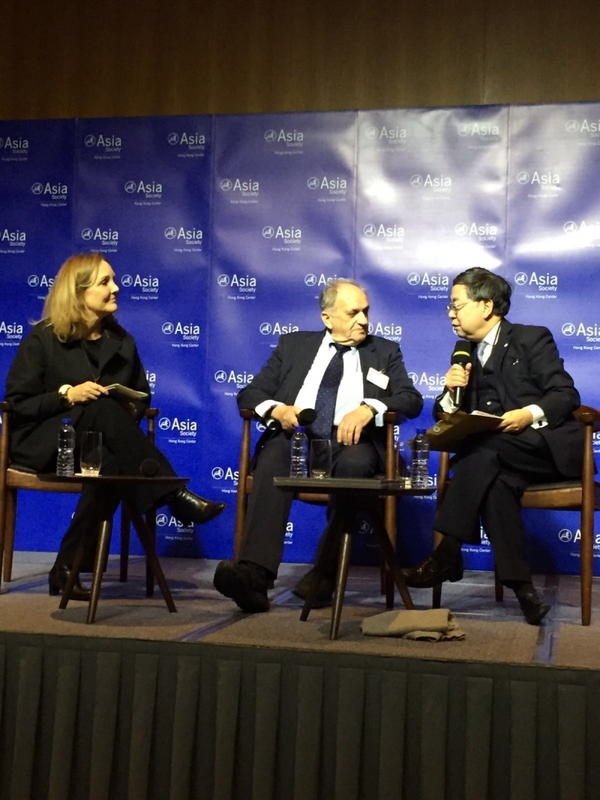 He spoke wth Asia Society HK President Chairman Ronnie Chan and Josette Sheeran, President & CEO of Asia Society about his harrowing experiences in the Nazi concentration and death camps. He shared his hopes for the future, expressing how important it is for every person to combat prejudice wherever they may find it. There were also 120 students present from a variety of local schools & universities, some students even traveled all the way from mainland China to hear Dov speak.